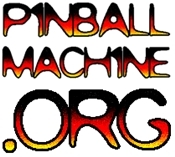 Yet another boutique pinball manufacturer has come along. Dutch Pinball, makers of the Bride of Pinbot 2.0 software conversion kit, are throwing their hat in the ring with a full-fledged game based on the cult film THE BIG LEBOWSKI. Priced at an eye-watering $8500, it’s safe to say The Dude himself is priced out of this one. Can the pinball collector community abide another entry into the increasingly crowded market? No, they cannot. Especially since delivery is projected Q2 2015 with no idea of what will be delivered. I hope they succeed but there is no way I’d be on board for this ride.